What's the best prayers to me? 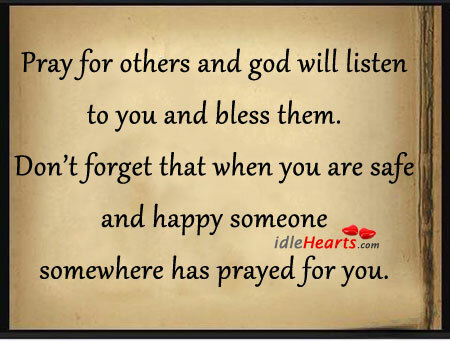 The best prayers are from those who are willingly to pray for you. In the course of my selling of life insurance, I had been a good listener and to understand with those I met. I played the roles as a preacher, counselor, match maker, financial advisor, motivator, fun giver, story teller, platform speaker, blogger, and be brother and father to those I know. I touched their hearts and saved their souls. I made sure in any untimely happenings, be it death or sicknesses, my friends could live and survive with dignity and respect. Yes! I might not be a very spiritual and a holy person, but I have many good friends and overseas readers who constantly pray for me. 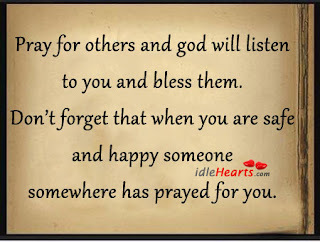 For that, I strongly believe their prayers have tremendously blessed me with many wonderful returns. My heart is happy and blissful, when I could see the whole world is so beautiful. Could feel the youthfulness in me, while those who are of my age have retired or gone. Deep down in my heart I say... Thank you for those who are praying for me.